Other number 009142 Handwritten in ink on wiring side. Other number 1978 Copyright date etched on wiring side. Other number rev 2 65-103 Etched on wiring side. Object has three color dots, yellow, green, brown, affixed to component side. 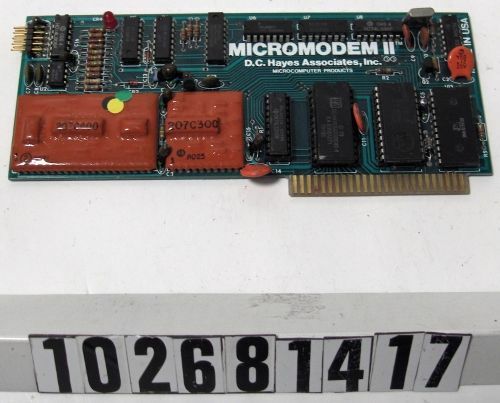 An internal, 300-baud modem for the Apple II. Used an external "microcoupler" box to connect to the telephone line.